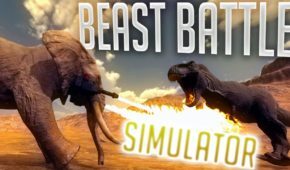 Meet Beast Battle Simulator – the ultimate simulator of battles between giants beasts and wild animals. 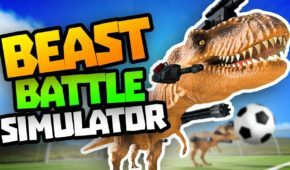 If you have ever wanted to find out what hypothetical army is better – zebras-kamikaze against dinosaurs with laser guns, lions with mini-guns against the flock of 50 seagulls, this game is your only chance to prove your theory in practice. Prepare for the bloody baths involving various animals, who tear each other apart…literally! The main feature of BBS game is realistic physics that is why every battle is always different. 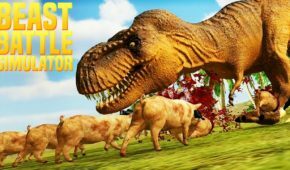 Depending on your strategy, and the place where animals have been bitten, beasts can lose various body parts. 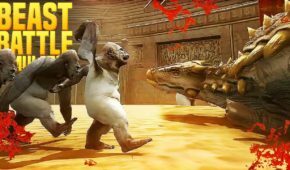 Moreover, each beast has its own fighting style and unique attacks. 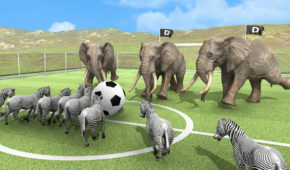 Try different combinations to find the perfect army of beasts that can beat everyone else in this mad game. Another great feature of BBS is that it offers a few different gaming modes. One of them is really funny. 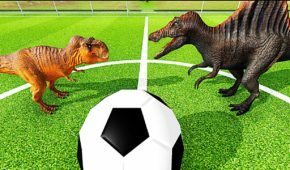 It allows playing a gruesome version of soccer – for example, lions against T-rexes, polar bears versus seagulls. Imagine how it looks. Or stop imagining and just download BBS and see with your own eyes how it works. This is an entertainment that you simply can’t miss. 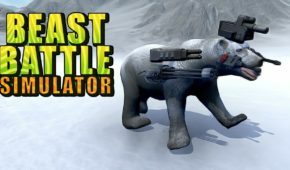 Besides Soccer mode, you can constantly upgrade the fighting skills of various beasts, for example, by giving them different arsenal – from bomb vests to grenade guns. 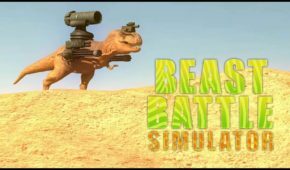 Such upgraded army can take part in Challenge mode with funny tasks to fulfill, or you can simply create two armies and see who wins during the Sandbox mode. Will BBS ever become a gaming classic? No. Is it worth your time? Absolutely, specifically if you pay none for it. A reasonable multiplayer/social mode would allow a lot of replay value, which kind of pretty limited now. 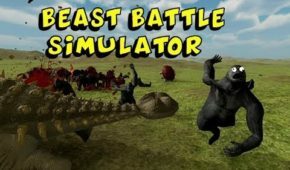 Could turn out to be really great with some added match styles, but still amusing enough to satisfy your childhood fantasies about the fights of giant beasts.